Pleated: Pleats are sewn to keep the fabric from spreading at the shoulder. Gathered: The fabric is sewn across the entire wrap width. The wearer can spread it to his/her liking. 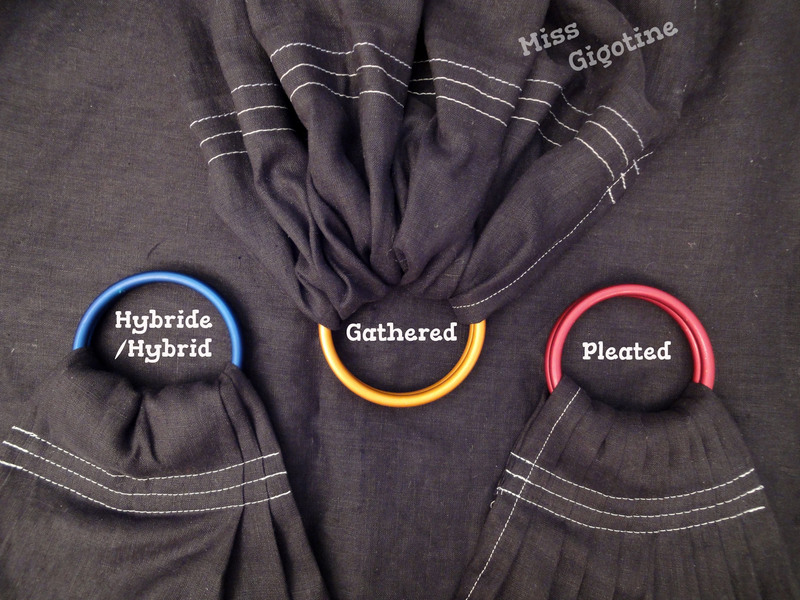 Hybrid: My own hybrid version has pleats on each side (usually 6 pleats total). The middle is more or less gathered (I do what is best for the wrap pattern/weight). Our “standard” length is 1,90-2m (75″-79″). You may prefer a different length, depending on your own size and/or the use you plan to make of the free tail. It is advisable to take a shorter length if you are of petite size (eg 5’4″ and under 130 lbs). However, tall and/or plus size wearers (5’8″ or taller, 200 pounds and over) may be more comfortable with a longer ring sling. That said, each wearer has personal preferences. Some women choose to have longer tails to use as nursing cover, for example, or a shorter tail so that it is less cumbersome. The rings used come from Sling Rings only. 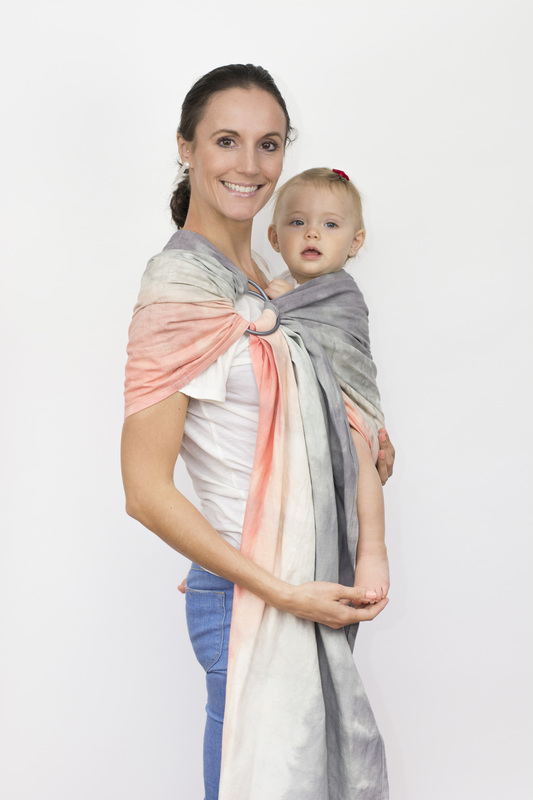 It is aluminum rings specifically designed for babywearing. The rings are periodically tested in independent laboratory to verify their strength and make sure they do not contain toxic or heavy metal. 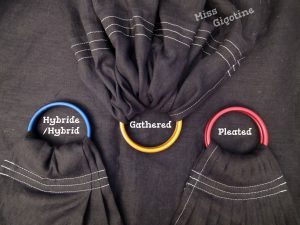 Those rings are therefore the only SAFE ones for babywearing!